It seems like every parent spends almost every dinner fighting with their kids to eat their veggies. How many times have you bargained with your kids to eat a few more bites of their greens before they’re done with dinner? There are a few ways that you can make this less of an argument and make eating healthy a habit for your kids. All you have to do is get a little creative, and you’ll have your little one eating healthy in no time. 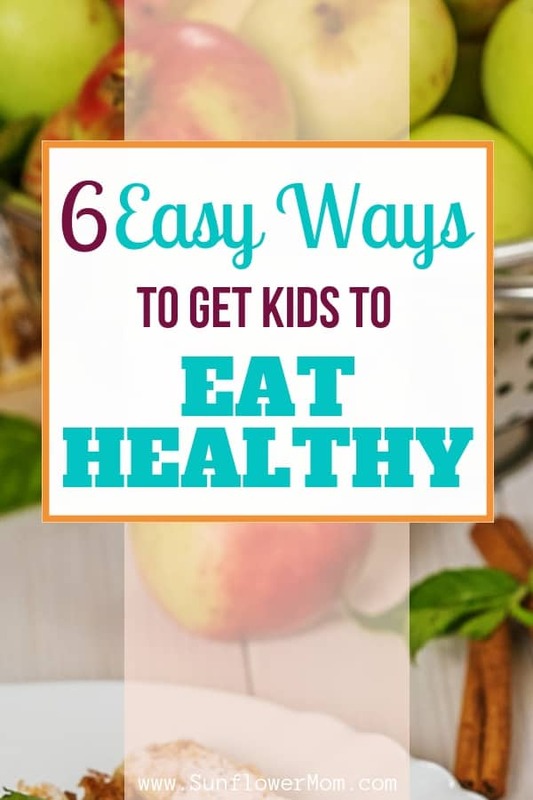 The first step you can take to help make sure your kids eat healthily is to start them young. Don’t wait until they’re sitting at the table and you’re forcing them to eat their peas before you try to make them eat healthily. One problem that many parents have with their children is that their children want to eat sweets instead of veggies. However, you can prevent this by never getting your children hooked on sugar in the first place. If you can start your kids off with healthy snacks instead of candy bars and cookies, they won’t have the same affinity for sugary snacks that they would have otherwise. This is a great idea not only because it will get children to eat healthier but also because sugar can be detrimental to your child’s health. Not only will it increase their risk of chronic conditions but less sugar is also dentist recommended to prevent problems with your child’s teeth. While you want to encourage healthy foods with children at a young age, you will want to be clear not to restrict foods completely. Specifically, you should be sure not to tell your child that they can’t have certain foods. Instead, you will want to encourage healthy choices. The real point here is to make sure your children are eating healthy in a healthy way. You don’t want your child to eat healthy out of fear that they will gain weight or develop health problems. This sort of fear can lead to problems down the road with your child’s eating habits. So, make sure you encourage healthy eating in healthy ways. The primary problem that many parents run into when trying to get their children to eat healthily is a child’s claim that they don’t like the food on their plate. One answer to this is to make sure you are making vegetables that taste as good as possible. For instance, if you introduce your child to a vegetable by simply boiling the vegetable and not seasoning it, your child probably won’t like it. Think of it this way: if the way you are preparing your food doesn’t seem delicious to you, it won’t seem delicious to your children either. Adding a little flavor with seasonings or dips can go a long way to enticing your children to eat the healthy food on their plate. To do this, it can be useful to plan dinners ahead. If you aren’t sure how to make your veggies and other healthy food more appealing to your children, you can find plenty of tips and recipes online to get you going. Many times, children don’t like not only healthy foods but new foods in general because they are a mystery to them. A lot of kids want to stick to the foods they know. A great way around this is to dissolve the mystery around new foods by letting your kids help out in the kitchen. This way, they are engaged, they know what is going into their food, and it’s a great way to sneak quality time into busy days. Most kids will also be interested in trying the food they made, no matter what it is. So, if you get them to help make a healthy dish, they will usually be eager to try it out. It’s easy to get caught up in the mindset that picky eaters don’t know what they like. This logic runs with the idea that if a child is unwilling to try new food, they can’t say if they like a type of food or not. While this can be true, it’s important to remember that your child is someone with opinions. After they try something, let them decide if they like it or not and give them some choices in their diet. For example, a child might have tried both bananas and mangos and decided they like mangos more. With this knowledge, you can let them choose to have more mangos as snacks than bananas. Finally, don’t forget that your kids are looking up to you. After all, there is no bigger role model in a child’s life than a good parent. As such, you will need to live what you preach to them. If you are telling them that they should eat their vegetables and leaving yours untouched at the dinner table, they won’t be as likely to follow what you say. If you tell them to eat their vegetables and they see you eat all of yours, they are more likely to follow your lead. Samantha Rosario is a writer in Healthy Heroics, a mother and resident of the greatest city in the world, NYC. When not working at a Manhattan publishing house, she’s spending time with her family or putting pen to paper for her own personal pursuits.